Patients who are considering taking estradiol for the treatment of symptoms related to menopause should be aware of the wide range of side effects that are associated with the use of this drug. 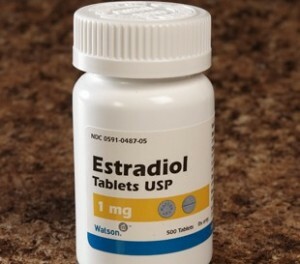 Common estradiol side effects include headache, stomach pain, mild nausea and breast pain or tenderness. These estradiol side effects often go away entirely or become less bothersome as the body adjusts to treatment. Patients should also be mindful of serious, but uncommon, side effects. 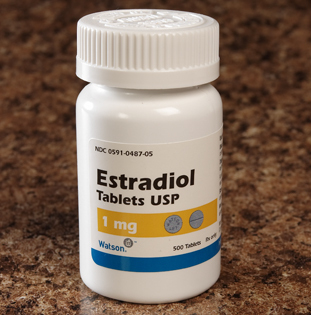 The following estradiol side effects are common and do not usually require medical attention. Most estradiol users experience mild side effects that abate with continued treatment as the body adjusts to the medication regimen. You may not experience all, or even any, of these side effects, depending on your tolerance to the drug. Consult your doctor if these common side effects become bothersome or severe. Your doctor may suggest lifestyle, diet or medication changes to help minimize your discomfort. Your doctor will assess your medical history and various other factors before prescribing estradiol medications for the treatment of menopause symptoms, breast cancer or advanced prostate cancer. If your doctor finds that you are not a suitable candidate for estradiol treatment, he or she will suggest an alternative medication. Although estradiol can be used in treatment plans for certain types of cancer, long-term use of estradiol medications may result in an increased risk of breast cancer, ovarian cancer or uterine cancer. Your doctor may order regular physical examinations, mammograms or blood tests to monitor you for these and other serious estradiol side effects. In many cases, doctors will prescribe progestin to reduce a woman’s risk of developing uterine cancer while taking estradiol medications. Despite a veritable laundry list of possible side effects, estradiol medications are generally well tolerated by most patients. Many of the most common side effects associated with estradiol go away on their own, without the need for medical attention. However, certain individuals may be at an increased risk for some of the more serious estradiol side effects. Talking with your doctor will help you evaluate the pros and cons of estradiol to decide if it is the right drug for the treatment of your menopausal symptoms or cancer.